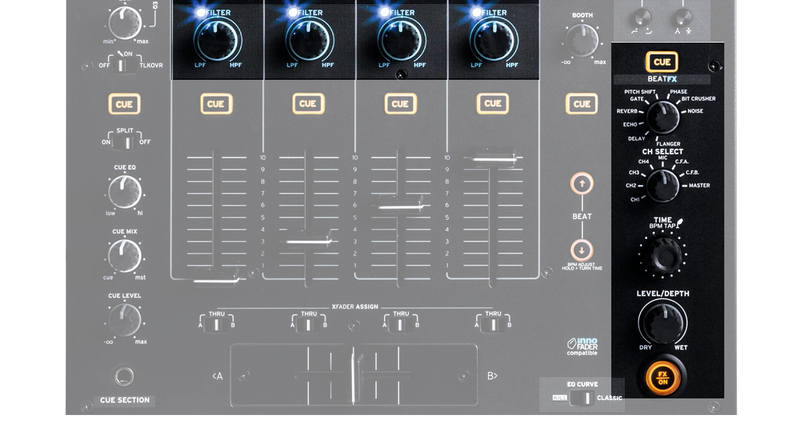 In today's review we take a look at Reloop's four-channel club mixer with onboard effects. 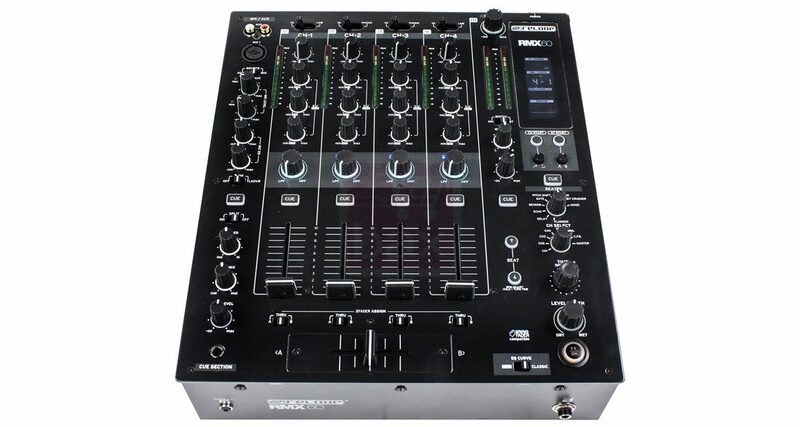 The RMX-60 comes with inputs and outputs you’d come to expect in modern club mixers. Note that the USB port is just for firmware updates, not as a sound card connection. 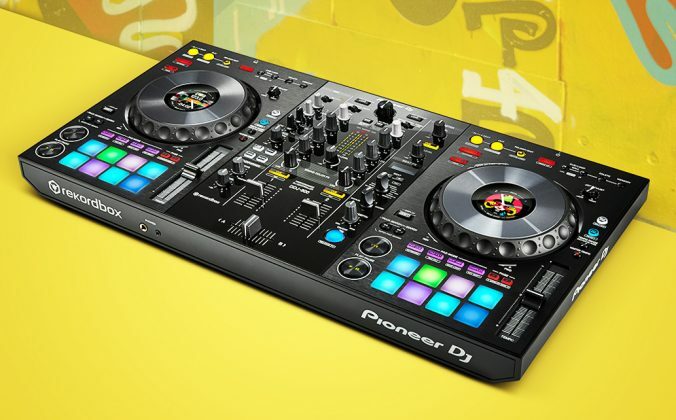 It feels awfully much like a Pioneer DJ mixer when you pick it up, meaning it’s the same size and is built to similarly high standards, in an all-metal casing with high-quality knobs and faders. Round the back are all the expected inputs and outputs (four channels, including two phono; XLR and TRS master/booth, plus RCA record and master outs), although there is no FX send/return (you’ll have to fork out extra for the RMX-80 to get that, among other features). There are remote control sockets for autostart with Reloop media players, though. The top panel shows some nice touches including top-mounted RCA and combi-socket inputs for two switchable Aux inputs in a “4+1″ configuration, and there’s a tone control for the headphones, which also boast split cue and both 1/8″ and 1/4” jack sockets. Another commendable feature is easily switchable classic/kill EQ. Apart from that, it appears almost exactly as you’d expect from such a mixer, with per-channel LED VUs, three-band EQ, nice loose crossfader (Innofader compatible), and an FX section up the right-hand side. 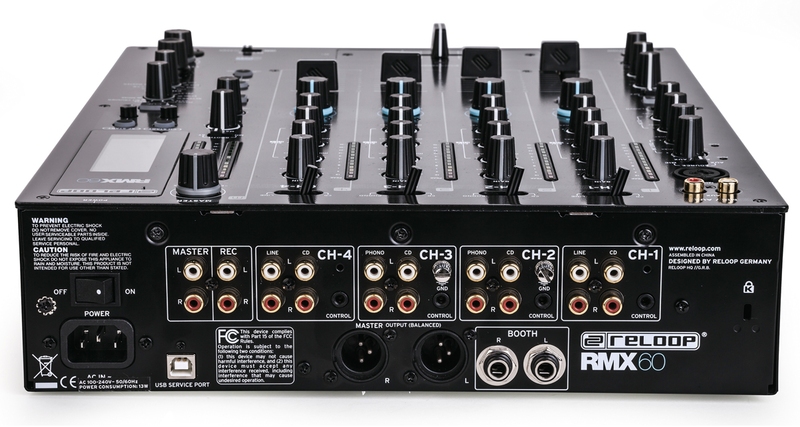 The RMX-60 comes with filters for each of the four channels, as well as some switchable onboard effects ala Pioneer DJ’s DJM mixers. Firstly, don’t mistake the USB socket on the back of this for somewhere you can plug your computer in in order to feed computer audio into its channels; that’s purely there for firmware updates and the like. Though this is a digital mixer, it’s digital internally, not in the way that means you can access any kind of audio interface from a computer. 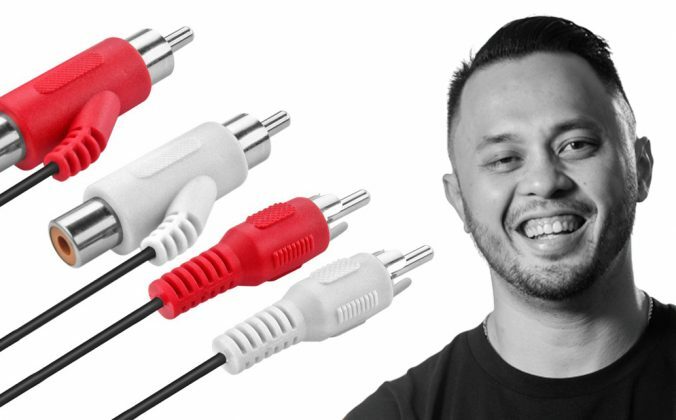 That means if you want to use it as part of a laptop set-up, you’ll be using a DVS audio interface with it. Used in this way (as a traditional mixer), it does the basics very well. It sounds great and feels exactly as you’d want it to feel (let’s not beat about the bush – it feels like using Pioneer gear). That said, the knobs are more rubbery than Pioneer knobs, which made a nice change. 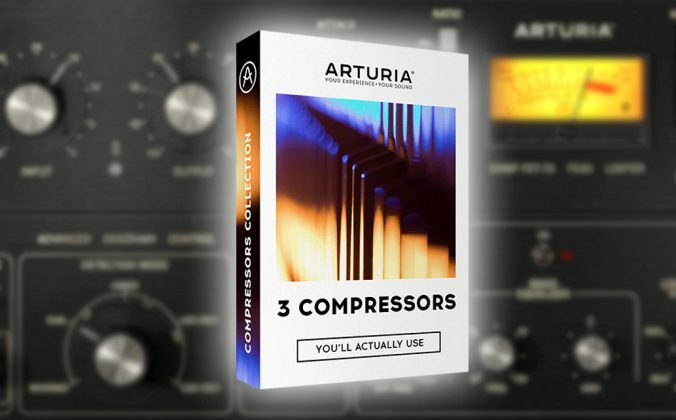 The one-knob filters sounded good and were fun to use, too. 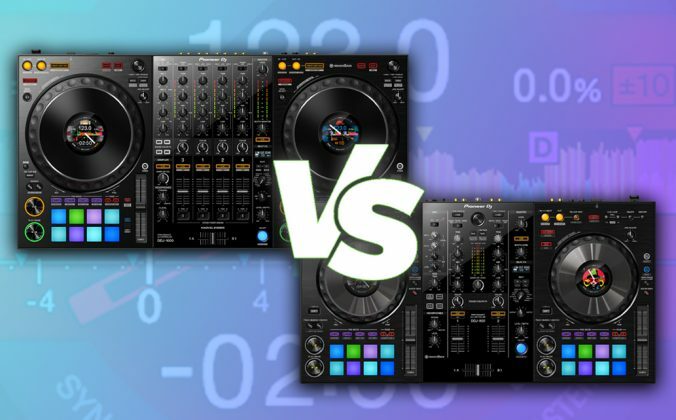 The FX section is generally good, with twin BPM counters helping you tie the FX to the beat. Of the nine available FX, the only miss for me was the gate, which didn’t seem to gate evenly across the left and right sides of the signal, and which so didn’t sound particularly clean. The rest were fine, the reverb especially sounding good, and you could definitely have some fun tying the LFO to the noise effect. 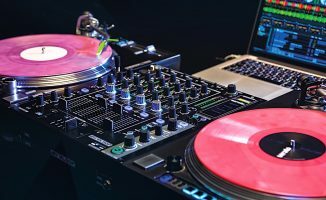 We tested it with a Rane SL2 Serato DVS audio interface and found it more than up for the job. The Reloop RMX-60 packs great build, traditional features, and excellent value in a format that’s familiar to any club DJ. 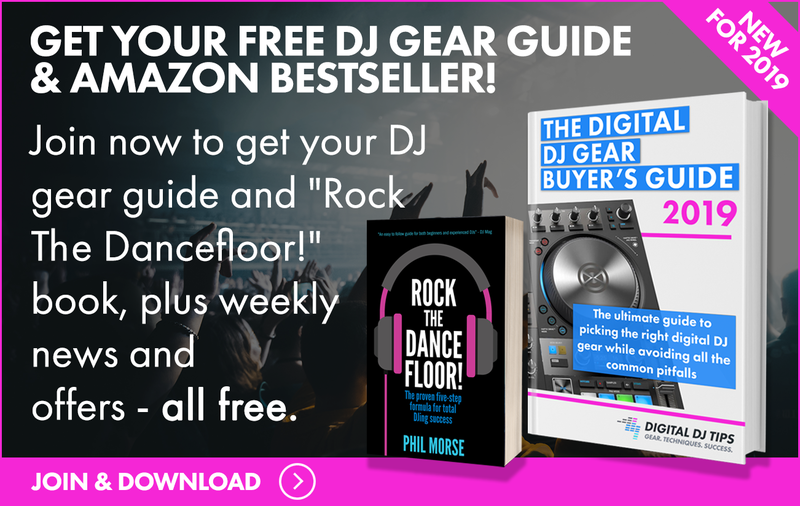 This is basically a good value traditional DJ mixer for DJs who can’t or won’t pay the extra for a roughly equivalent Pioneer mixer. It is well built, full sized, and feels much like using any such standard club gear. There are some thoughtful touches, and the extras (filters, FX, beat counters) work well, by and large. 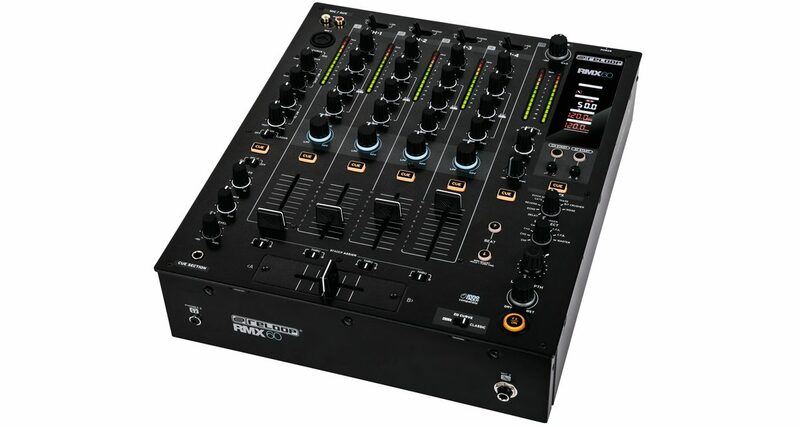 If you want this kind of mixer as part of your set-up and can’t justify the premium to buy the leading brand, then Reloop’s RMX-60 is a great choice at the price. 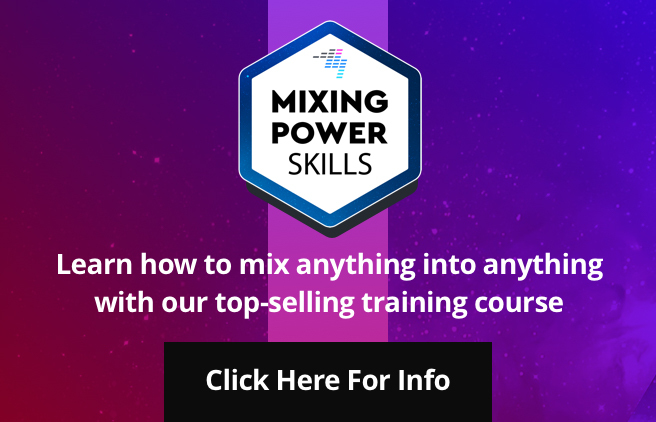 One mixer you might like to compare it to is the company’s own RMX-80, which adds more effects, more routing options, send/return, and lots of tweaks via a Utility menu, among other enhancements. Of course, it costs a bit more too. Either way, you’re getting a solid piece of kit for your cash. 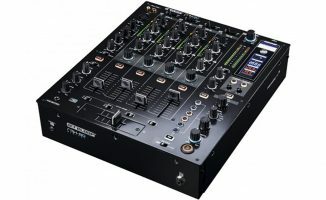 What do you think about this mixer? 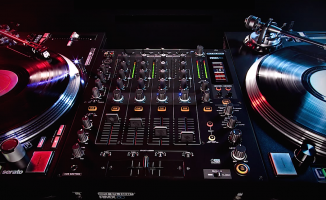 Are you in the market for a new hardware mixer for your mobile or home DJ set-up? Let us know below. 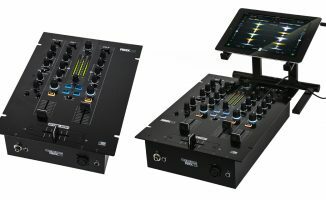 Can we use the RMX 60 with Traktor? 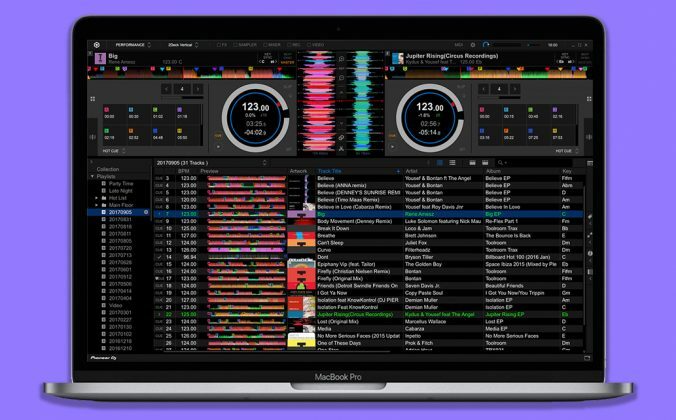 You’d need to use an external sound card to do that, and a Traktor one to use it with Traktor DVS.